Stoned was a super dog, and considered by some to be one of the top stud dogs of the last 15 years. He was a large, physically strong dog. Very social, good with kids and other animals, but dominant with male dogs. Stoned retired from competition at 7 years old after very badly injurying his backleg. He passed away at the age of 12. 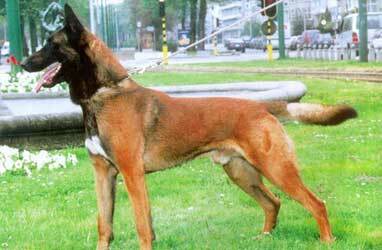 Stoned was a very successful sire, producing many top Sch competition dogs.